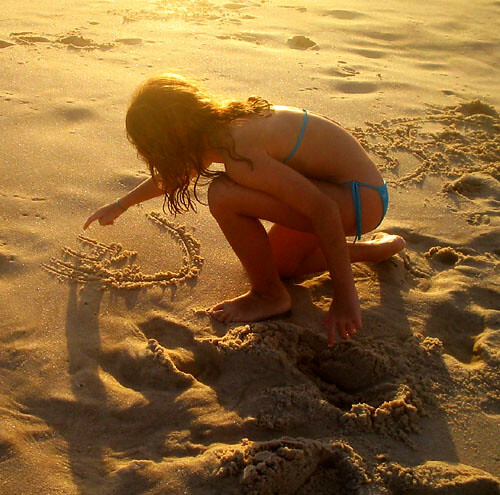 Have you ever drawn your name on the sand? Have you ever walked with a lover, hand in hand? Have you felt the kiss of the morning sun? Have you got your bikini bottoms wedged up your bum? Have you buried your father up to his neck? Have you left your lost your shoes on the beach side trek? Have you ever been chased in by a wave? Have you ever raised your hand for a lifeguard to come save? Have you played cricket, or volleyball on the beach? Have you watched the young surfers show the new kids, you know; teach? Have you ever gotten sand all through the car? Have you realized the beach is really not that far? Have you woken up and seen the sun rise over a glistening sea? Well, I have done all these things, for the beach is where we feel free.